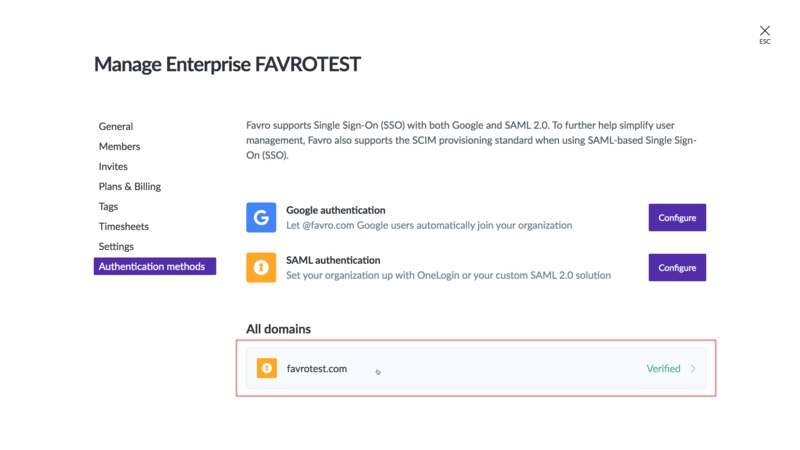 Once you have setup Single sign-on with OneLogin, it is a good idea to make sure you are using SCIM provisioning as well. 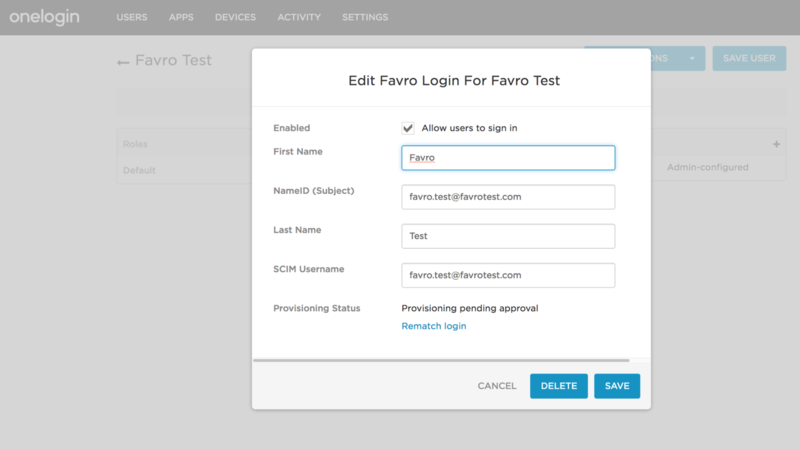 With SCIM provisioning enabled, it is possible to create and disable users automatically in Favro. 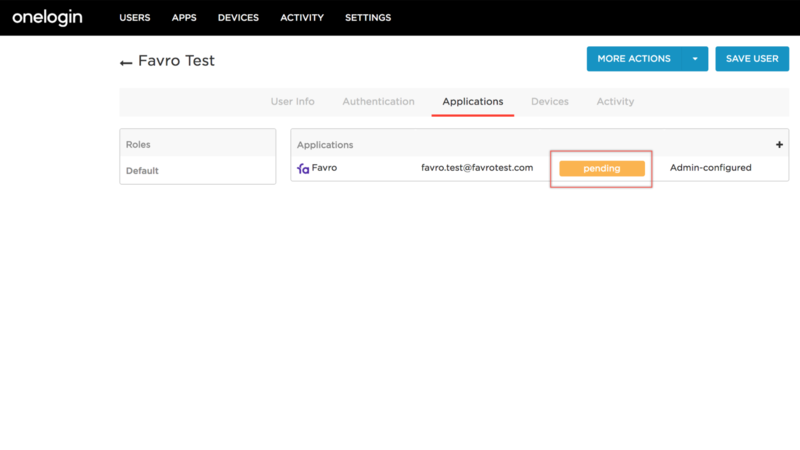 First, open your configured domain under Authentication methods in the administration view in Favro. 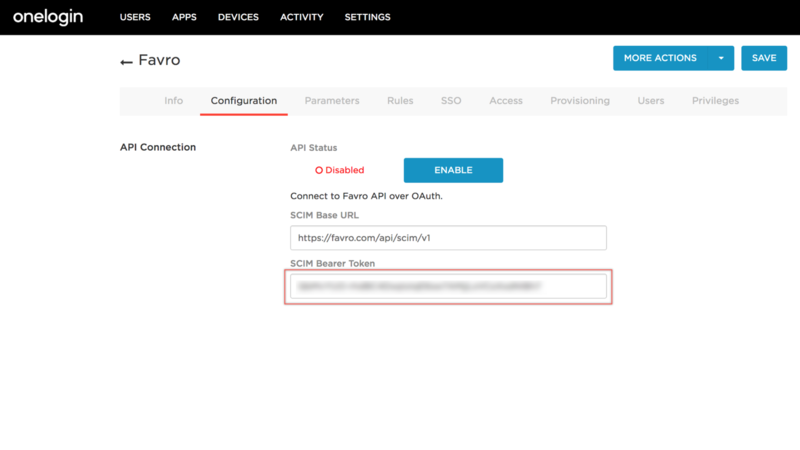 Scroll down and copy the string from the SCIM API token field. 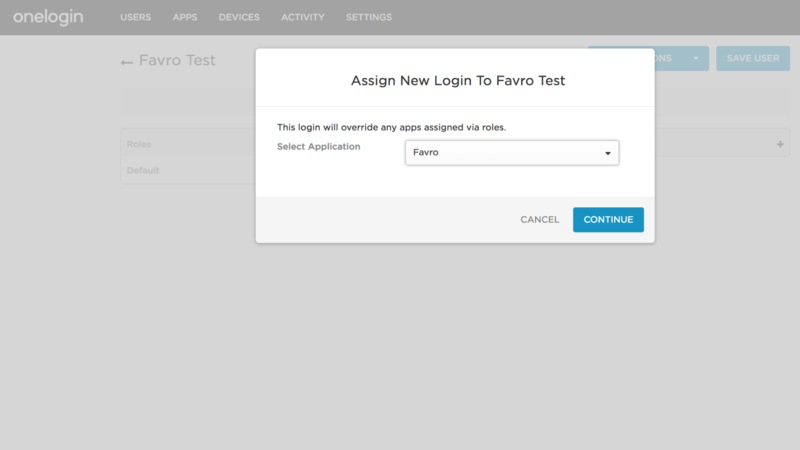 Open the Favro app in OneLogin and go to the Configuration tab and paste the string into the SCIM Bearer Token field. 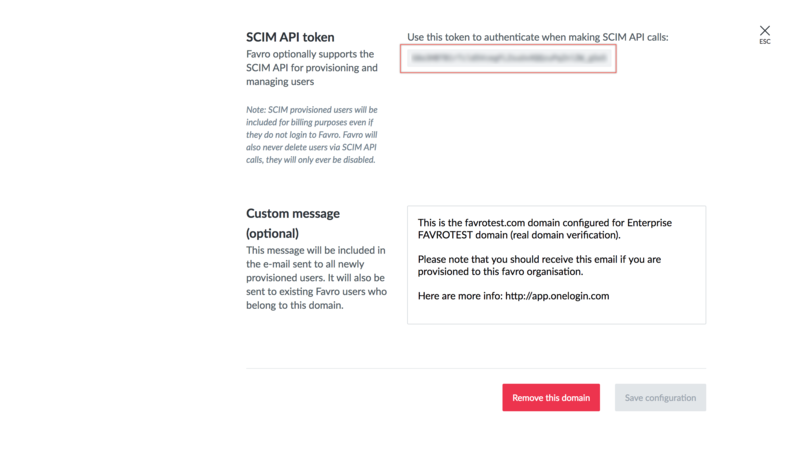 You also need to enter https://favro.com/api/scim/v1 in the SCIM Base URL field and enable the API and click SAVE. 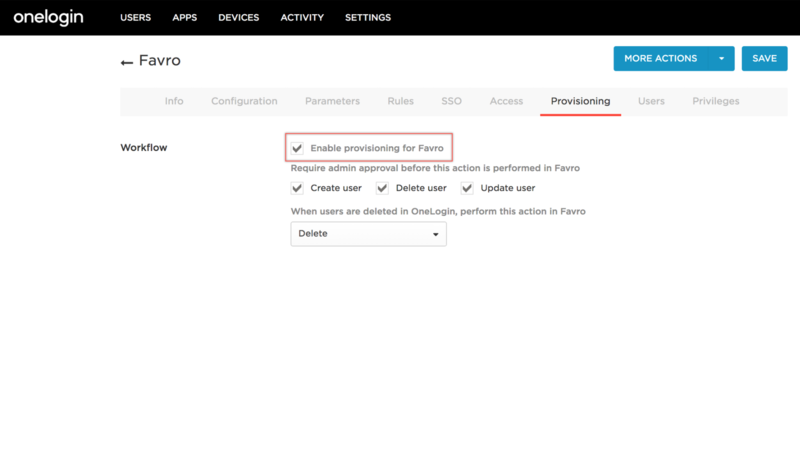 Next, go to the Provisioning tab and check Enable provisioning for Favro. On this page you can also set whether you require admin approval whenever a user is: created, deleted or updated. You can also set an administration action for what should happen in Favro when a user is deleted in OneLogin. Remember to click SAVE. If you have checked the option to require administrator approval of user creation then you need to go into a user's information in OneLogin and go to Applications and add the app you want the user added to. Select the Favro app in the following pop-up. Confirm the user settings and save. 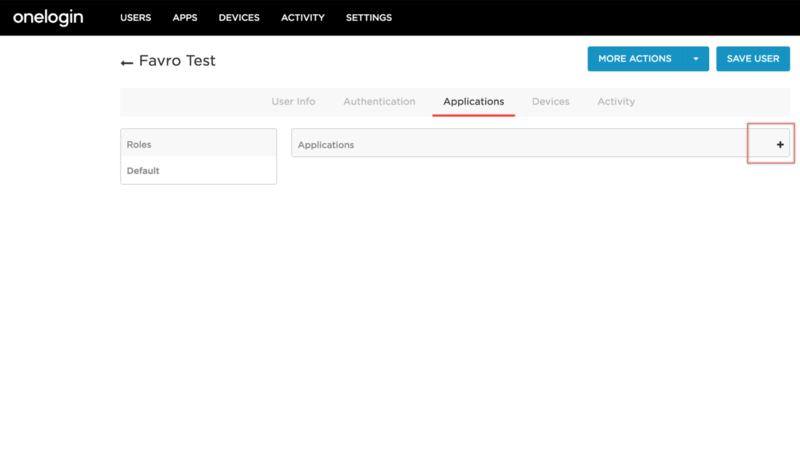 Next, you need to click the status of the application approval to provision the user. Approve the user and it will be automatically added in Favro. Now you're all set. 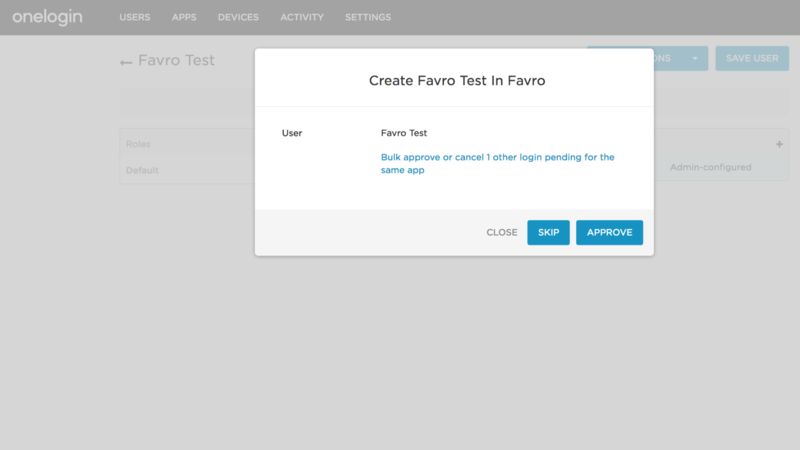 The user will receive an email on approval, notifying him/her that the account has been created in Favro.